Roasted rice not easy to find in every Thai local market. 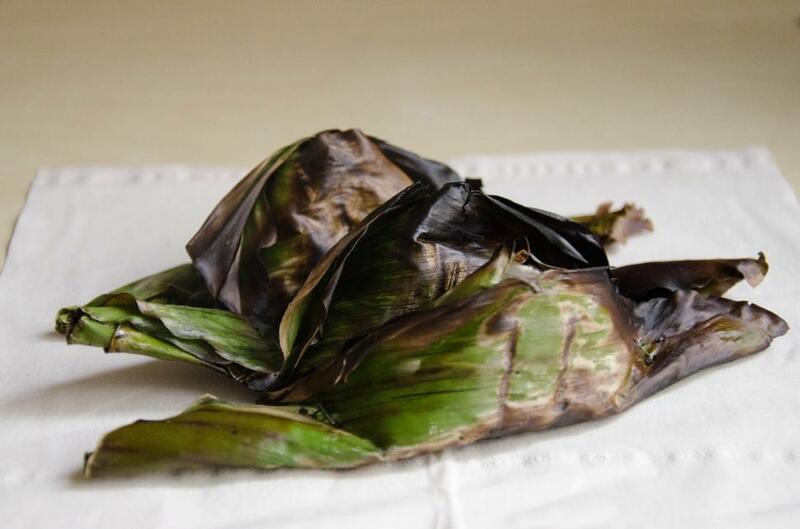 It made from Rice plus banana, bean and wrap with bamboo leaf and burn it into a fire. It's delicious ! !